And Now We Are Going to Do A Little Maintenance on the Site….. Yes, I know it is a weird time for maintenance but…..if you hadn’t noticed we were off the internet for a bit. That was because our lovely Electric Company when out. When that happened we lost all of our material for the rest of the day. You see none of us believe in saving anything just in case the power does go out. You would think by now, we would have learned but we haven’t. So we are going to up-date the site for a bit and then call it a day. All Souls’ Day commemorates departed spirits not elevated to sainthood. Before becming a church festival in 998 C.E., it was marked with celebrations from the dead: parading the Hodening wild horse and other guising including mummers’ plays enacting the mysteries of life, death and rebirth. Ceremonial soulcakes were cooked and eaten on this day. Thor is one of the most popular and powerful gods of the major mythologies. He is also part of modern daily life, since the fifth day of the week, Thursday (Thor’s day), is named for him. Odin is usually given as the father of Thor, a thunder god in Norse mythology. Less controversially, Thor’s mother was a female giant named Jord, according to Motz (see references below). Thor mated with a giant named Jarnsaxa with whom he had two sons, named Magni and Modi, but his wife is Sif (whose luscious golden hair the trickster god Loki cuts). Thor’s appetites are gigantic. He once drank from a horn that was emptying the water from the ocean. He is described as huge, red-bearded, with burning eyes who could defeat giant or troll in a test of strength. Yet, he was so much smaller than a giant that once he slept in a giant’s glove. Epithets for Thor indicate his giant-defeating prowess. He is similar to the Greek hero Heracles (Hercules) in his feats of strength and giant-killing. Thor had a famous weapon, his hammer, named Mjolnir, and a belt of strength, named Megingjardir. He had a goat-driven chariot that created the noise of the thunder, according to Davidson, when rolling across the sky. The lightning bolts were caused by the hurling of Mjolnir. Thunderbolts are called Thorsviggar, according to Montelius. Thor’s home was called Bilskinir, located in Thrudheim or Thrudvangar. Thor was worshiped especially in Uppsala and Thrandheim. “Giants in Folklore and Mythology: A New Approach,” by Lotte Motz; Folklore Vol. 93, No. 1 (1982), pp. 70-84. “Thor’s Hammer,” by H. R. Ellis Davidson; Folklore Vol. 76, No. 1 (Spring, 1965), pp. 1-15. “The Sun-God’s Axe and Thor’s Hammer,” by Oscar Montelius;Folklore Vol. 21, No. 1 (Mar., 1910), pp. 60-78. Also Known As: Thor was also known as Atli. As you study and learn more about magical living and modern Paganism, you’re going to see the words witch, Wiccan, and Pagan pretty regularly, but they’re not all the same. As if that wasn’t confusing enough, we often discuss Paganism and Wicca, as if they’re two different things. So what’s the deal? Is there a difference between the three? Quite simply, yes, but it’s not as cut and dried as you might imagine. So, in a nutshell, here’s what’s going on. All Wiccans are witches, but not all witches are Wiccans. All Wiccans are Pagans, but not all Pagans are Wiccans. Finally, some witches are Pagans, but some are not – and some Pagans practice witchcraft, while others choose not to. If you’re reading this page, chances are you’re either a Wiccan or Pagan, or you’re someone who’s interested in learning more about the modern Pagan movement. You may be a parent who’s curious about what your child is reading, or you might be someone who is unsatisfied with the spiritual path you’re on right now. Perhaps you’re seeking something more than what you’ve had in the past. You might be someone who’s practiced Wicca or Paganism for years, and who just wants to learn more. Just to make sure everyone’s on the same page, let’s clear up one thing right off the bat: not all Pagans are Wiccans. The term “Pagan” (derived from the Latin paganus, which translates roughly to “hick from the sticks”) was originally used to describe people who lived in rural areas. As time progressed and Christianity spread, those same country folk were often the last holdouts clinging to their old religions. Thus, “Pagan” came to mean people who didn’t worship the god of Abraham. As if that wasn’t confusing enough, not all people who practice witchcraft are Wiccans, or even Pagans. There are a few witches who embrace the Christian god as well as a Wiccan goddess – the Christian Witch movement is alive and well! There are also people out there who practice Jewish mysticism, or “Jewitchery”, and atheist witches who practice magic but do not follow a deity. For others, Witchcraft is considered a religion, in addition to a select group of practices and beliefs. It’s the use of magic and ritual within a spiritual context, a practice that brings us closer to the gods of whatever traditions we may happen to follow. If you want to consider your practice of witchcraft as a religion, you can certainly do so – or if you see your practice of witchcraft as simply a skill set and not a religion, then that’s acceptable too. o you’ve heard a little about Paganism, maybe from a friend or family member, and want to know more. Perhaps you’re someone who thinks Paganism might be right for you, but you’re not quite sure yet. Let’s start by looking at the very first, and most basic question: What is Paganism? Keep in mind that for the purposes of this article, the answer to that question is based upon modern Pagan practice – we’re not going to go into details on the thousands of pre-Christian societies that existed years ago. If we focus on what Paganism means today, we can look at several different aspects of the word’s meaning. In general, when we say “Pagan” today, we’re referring to someone who follows a spiritual path that is rooted in nature, the cycles of the season, and astronomical markers. Some people call this “earth-based religion.” Also, many people identify as Pagan because they are polytheists – they honor more than just one god – and not necessarily because their belief system is based upon nature. Many individuals in the Pagan community manage to combine these two aspects. So, in general, it’s safe to say that Paganism, in its modern context, can be defined as an earth-based and often polytheistic religious structure. 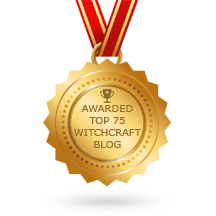 Many people are also looking for the answer to the question, “What is Wicca?” Well, Wicca is one of the many thousands of spiritual paths that fall under the heading of Paganism. Not all Pagans are Wiccans, but by definition, with Wicca being an earth-based religion that typically honors both a god and goddess, all Wiccans are Pagans. Be sure to read more about the Differences Between Paganism, Wicca and Witchcraft. Some people in the Pagan community practice as part of an established tradition or belief system. Those people are often part of a group, a coven, a kindred, a grove, or whatever else they may choose to call their organization. The majority of modern Pagans, however, practice as solitaries – this means their beliefs and practices are highly individualized, and they typically practice alone. Reasons for this are varied – often, people just find they learn better by themselves, some may decide they don’t like the organized structure of a coven or group, and still others practice as solitaries because it’s the only option available. In addition to covens and solitaries, there are also significant amounts of people who, while they usually practice as a solitary, may attend public events with local Pagan groups. It’s not uncommon to see solitary Pagans crawling out of the woodwork at events like Pagan Pride Day, Pagan Unity Festivals, and so on. The Pagan community is vast and varied, and it’s important – especially for new people – to recognize that there is no one Pagan organization or individual that speaks for the entire population. While groups tend to come and go, with names that imply some sort of unity and general oversight, the fact is that organizing Pagans is a bit like herding cats. It’s impossible to get everyone to agree on everything, because there are so many different sets of beliefs and standards that fall under the umbrella term of Paganism. Jason Mankey at Patheos writes, “Even if we don’t all interact with each other, we do share a lot with each other globally. Many of us have read the same books, magazines, and online articles. Many Pagans – and certainly, there will be some exceptions – accept the use of magic as part of spiritual growth. Whether that magic is enabled via prayer, spellwork, or ritual, in general there’s an acceptance that magic is a useful skill set to have. Guidelines as far as what is acceptable in magical practice will vary from one tradition to another. Most Pagans – of all different paths – share a belief in the spirit world, of polarity between the male and female, of the existence of the Divine in some form or other, and in the concept of personal responsibilities. There’s a lot of information out there on Paganism, including but not limited to Wicca, in books, on the Internet, and through local groups. But how much of it is accurate? How do you learn to separate the wheat from the chaff? The fact is, there are several basic things you should understand about Wicca and other forms of Paganism before you make the decision to join a new spiritual path. Let’s eliminate some of the misconceptions and talk about actual facts… it will make your spiritual journey all the more valuable if you understand these issues from the beginning. Sure, a lot of people think that just because there’s no Grand High Pagan Council that there must be all kinds of magical carnage going on. Truth is, there are some fairly standard guidelines followed by a number of different Pagan traditions. While they vary from one group to the next, it’s a good idea to familiarize yourself with some of the concepts. Learn more about the rules of magic before you continue your studies. Contrary to what many popular movies might have you believe, you don’t have to be a teenage goth princess to be Pagan or Wiccan. In fact, you don’t “have to be” anything at all. Pagans come from all walks of life — they are parents and teens, lawyers, nurses, firefighters, waitresses, teachers and writers. They come from all different walks of life, all socioeconomic groups, and all sorts of racial backgrounds. There’s no Pagan Dress Code that says you have to toss away your polo shirt or khakis in favor of capes and an all-black wardrobe. On the other hand, if you prefer the goth look, go for it… just remember that goth and Pagan are not synonymous. Believe it or not, as a Pagan you have the same rights as people of any other religion. Despite the fact that some members of other faiths might disapprove of the existence of Wicca and Paganism, the fact is that if you live in the United States, you’re entitled to protection just like anyone else. It’s against the law for anyone to discriminate against you because you practice an earth-based faith. Learn about your rights as a Pagan or Wiccan parent, as an employee, and even as a member of the United States military. 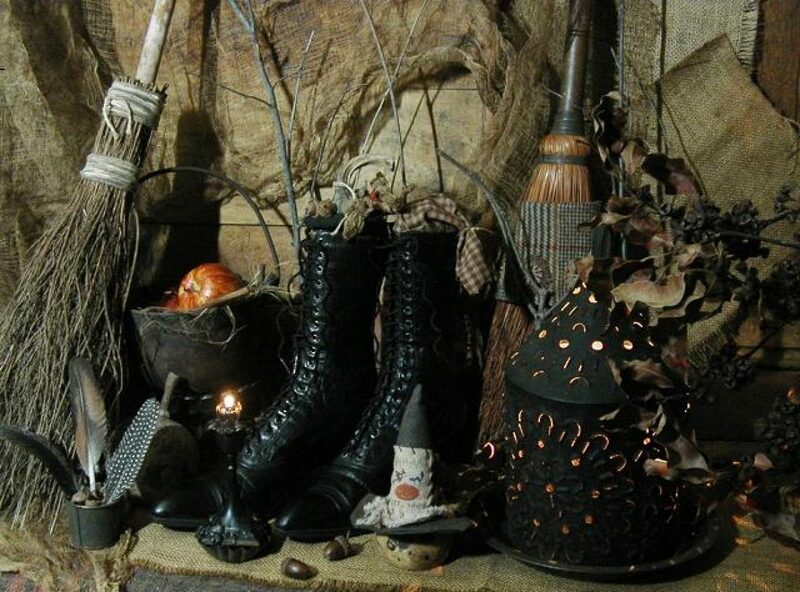 Countless numbers of Pagans have made the choice to “come out of the broom closet”… in other words, they’ve stopped hiding their spiritual path from others. For many people, this is a huge decision. You may feel that it’s not in your best interest to make your religious beliefs known, and that’s okay too. If you feel you could be in danger if you reveal that you are Pagan, or that it might put a strain on family relations, going public might be something you should postpone. Get all the pros and cons on coming out of the broom closet. 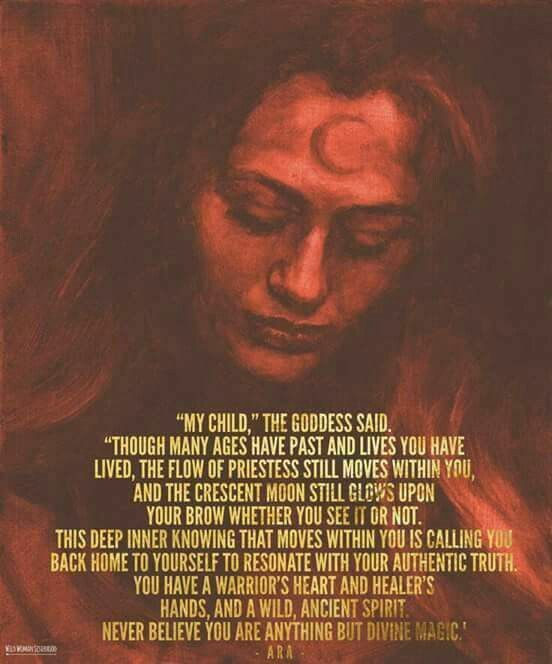 Ask any Pagan about the cornerstone of their faith, and they’ll probably tell you it’s a reverence for their ancestors, a belief in the sacredness of nature, a willingness to embrace the Divine within ourselves, or an acceptance of polarity between the male and female. It may be a combination of those principles. It will not have anything to do with the Satan, Old Scratch, Beelzebub, or any of the other names attributed to the Christian devil. Learn more about how Pagans and Wiccans feel about such an entity. Many Wiccans and Pagans choose to join a coven or study group because it allows them the chance to learn from like-minded people. It’s an opportunity to share ideas and get new perspectives on any number of things. However, for some folks it’s just more practical or desirable to remain as a solitary practitioner. If you’re considering joining a coven, you’ll want to read these tips. Nothing will set a teenager at odds with a parent quite like coming into the house wearing a giant pentacle, toting a candle, and yelling, “I’m a witch now, leave me alone!” Fortunately, it doesn’t have to be that way. Parents, you may have some concerns about Wicca and other forms of Paganism… and teens, you probably aren’t sure how to talk to mom and dad about your new-found interest. Rest easy, though. With a little bit of good communication, both parents and teenagers should be able to find a happy medium. Many people think they need to stock up on hundreds of dollars worth of incense, herbs, wands and candles before they can even begin to practice Wicca or Paganism. That’s simply not the case. While a few basic magical tools are nice to have, the key element of most traditions are the beliefs, not the tangible, physical items. If you’d like to gather a very basic “starter kit” of tools, there are several which are common to nearly every tradition. Despite a commonly held (and generally Internet-based) belief to the contrary, anyone can write and cast a spell. The trick is to recognize what the key elements are to successful spellcrafting — intent or goal, components, and putting it into practice are all key. Don’t let anyone tell you that beginners can’t write a spell. Just like any other skill set, it will take some practice, but with a little work you can become a perfectly effective spellworker. Are you someone who thinks about the principles of your tradition all the time, or only when it’s convenient? If you honor a particular deity in your path, do you do so just on the eight Sabbats, but not bother the rest of the time? Are you constantly reading and learning, or do you figure everything you need to know is contained in the three books you already own? In other words, are you a “weekend Wiccan”? Living a magical life is something that one does twenty-four hours a day, seven days a week. Depending on the needs of your tradition, it may involve something as complex as daily ritual, or as simple as taking a moment to thank your gods each morning when you get out of bed. It means being in tune with the spiritual world around you, and staying in balance physically, emotionally, and spiritually. in fact, the rest of us would appreciate it if you didn’t do that. What it does mean is there’s a difference between seeing Paganism and Wicca as something you “do” versus something you believe. How can you bring more magic into your daily life? Try one, or more, of the following — and if something doesn’t apply to your particular flavor of Paganism, don’t sweat it. Use what you need, and set the rest aside. Pay attention to the phases of the moon. Know what’s happening in the skies, and notice how (or if) it affects the way you feel. Recognize that you don’t know everything there is to know. Continue learning and growing, and be willing to accept that sometimes new knowledge will come from unexpected sources. Don’t assume that you’re always right, just because you’ve always done or thought something. Show respect for nature — do things on a daily basis that are good for the planet. Recycle, compost, cut back on excess energy consumption. If you believe the earth is sacred, treat it as such. Get in touch with the land. Plant a garden, study the changes of the seasons. Realize how good it feels to grow your own herbs and vegetables. Be empowered. Know that you have control over many of the things that happen to you. If someone or something makes you miserable, make the changes that are necessary to bring yourself happiness. Understand that just as you have control over your life, you are also responsible for your actions. Take ownership of everything you do — even if that includes admitting you’re wrong sometimes. Find a way to honor the Divine in your daily life, rather than just at monthly Esbats or the eight Sabbats each year. Even if you just start your day with a morning “thank you” to your gods or to the universe itself, it’s not a bad thing to acknowledge the gifts that we have in our lives. Behave in a way that is honorable — if you make a promise, keep it. If someone needs help and you can provide it, offer it. When you do something mundane, think about how you can use it in a magical application. For example, when you’re baking cookies, consider what sort of magical working you can incorporate into the recipe. Consider the impact that your words and actions have on not only the environment, but also on other people and on yourself. Coffee, tea, soda, caffeine pills, anything with caffeine in it. I point this energy towards (desire)! Repeat the prayer, getting louder each time, and then down your source of caffeine. All Saints’ or All Hallows’ Day, according to Pagan custom, begins as the Sun sets the evening before on Samhain, the Festival of the Dead. It was made into a celebration of all the known saints and martyrs of the Catholic Church in the seventh century. Originally, it was celebrated on May 13, but was shifted to this date in the eighth century to coincide with the Pagan Festival of the Dead. This is a time of intercession for the dead souls that have not yet been purified and ascended to the next plane. Family members and relatives send prayers for their loved ones in the hope of helping them. Mumming, bonfires, the decoration of graves, and fortune-telling games are associated with the celebration. The Moon is void from 11:02 PM forward (until tomorrow at 5:46 AM). Early today, a Mercury-Chiron trine strengthens our communication skills, not so much on a technical level but more in terms of using both our heads and our hearts to understand one another. However, a longer-term influence comes into exactitude today: Saturn square Chiron. This is the last in a set of three (the aspect first perfected in December 2016 and again in April 2017), and we’re likely to deal with fears of not being competent or capable enough to meet our responsibilities. During the course of this transit, we may have had a hard time striking out on a unique path, again due to insecurities. The desire to break from the status quo has been strong, but we may have struggled with mustering up the necessary confidence to do so. Again now, circumstances are such that we may need to take a hard look at our vulnerabilities. Later today, a Mercury-Uranus quincunx can complicate our interactions as it can be challenging to get a point across clearly or even kindly. There can be disorganization, a lack of receptiveness to practical advice, or unclear directions and instructions to deal with. We have some help from the Moon’s sextile to Saturn as well as Venus as it approaches a sextile to Saturn, which can be grounding and practical-minded, although not as certain of itself as it typically is due to a quincunx to Chiron. The Moon spends the day in Aries. A void of course Moon occurs from 11:03 PM EDT, with the Moon’s last aspect before changing signs (a conjunction to Uranus), until the Moon enters Taurus the next day, Friday, November 3rd, at 5:46 AM EDT. The 13 days young Moon is in ♈ Aries. Now Whether it is for your benefit or ours, that’s the question, lol! What A Glorious Morning The Goddess Has Blessed Us With! Good Morning To All On This Thursday Morn’!